Grief and guilt often go together and there can be several different causes for that emotion, explains Elizabeth Postle, healthcare professional for 45 years and author of this site. One of the problems a lot of the bereaved feel is guilt. They ask themselves - "Why am I alive when my loved one, family or friends are not?" This is particularly prevalent after a car accident or in returning servicemen. People who are left behind often feel that they are not as worthy as those who died around them. It is also common when a young member of the family has died. We want to be able to swap places and feel that we should not be alive and certainly not enjoying ourselves. Guilt is an emotion we all feel at times, although not a realistic one, if we cannot change an outcome. Age is not taken into account when we are ill or facing one of life's catastrophes. Death can come at any age. I have always felt that we grow stronger having had a loving relationship and should try to live a useful life not only for yourself but for them too. Your loved ones would not want to know that you were continuing with an unhappy lifestyle. Yes, we may feel guilt as a normal emotion of grief but let it flow away with the waves like the other negative feelings. Life is a precious gift however long we have, let us try to have a positive purpose each day. Many bereaved people feel anguish due to the fact that they had had a row with their spouse or child or parent before they died. This is a natural emotion. But forgive yourself. All family members have upsets from time to time. Had you been able to make your peace beforehand it would have passed over as a minor spat. All forgotten. Be honest with yourself that this argument would have been over and harmony restored had you been given time. Forgive yourself, forgive your loved one too. Because of the circumstances things get built up and out of all proportion to what actually occurred. It’s up to you to forgive yourself and forget now. Move on. Remember the happy times and learn to laugh again. Talk about the good times. Don’t spoil the memory of the happy years you spent together because of one argument. You would forgive others, so why not forgive yourself? Accept that more often than not there is no fault anywhere and there is nothing you could have done to change events. This is just going to make you feel worse. Accept what has happened and move on with your life. It is not helpful to blame yourself or anyone else. Life happens and is often beyond any of our control. Many children imagine that for some reason they are responsible for the death. That if they had behaved better or done something differently it wouldn't have happened. They try to make up explanations for what has happened, and often end up feeling guilty. And frequently no-one will know that they feel like this. It is important to communicate clearly with children so that they have a clear understanding that it wasn't their fault. See my pages on Children and Grief for more information. Guilt can take up so much negative time after a death or when a loved one has to go into long term care for whatever reason. We can only do what is best for ourselves and the family at any given time. Hindsight brings up many ‘if only’s’ or ‘could I have done things differently?’ We should only worry about things we can change and these afterthoughts do not solve anything. Many carers cope for many years, do their best and then feel so much guilt as they feel they could have done more. This demonstrates unrealistic expectations of their capability, no one is superman or woman. Many people cannot cope with the care role at all, you should be proud of what you achieved. Forgive yourself for any imagined lack of care. We are all human, we get tired and cross at times, and are probably less patient than usual at times. This does not mean you failed in your care, only that you cared enough to carry on when you were weary. Give yourself time to grieve and find a lifestyle for yourself again, it is time for some enjoyment again after all your care of others. Well done. Good luck for the future. Read more about coping with caregiver grief after the death of your loved one. Guilt can be caused by worrying about what other people might be thinking. And it is true that some people might think that you shouldn't be happy, that you shouldn't be re-marrying so soon, or getting on with your life. But that is their problem. You know you loved the deceased one. You know that you have grieved. 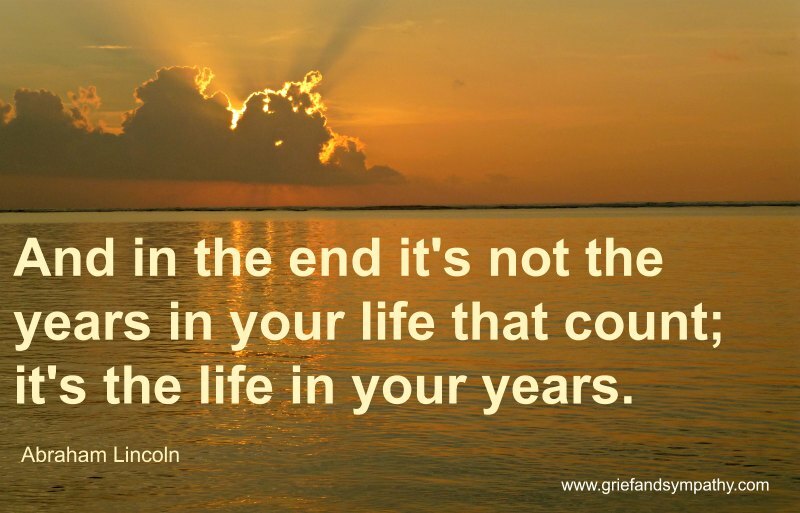 And you know that life is precious and it is your time now, to make the most of the life you have left.